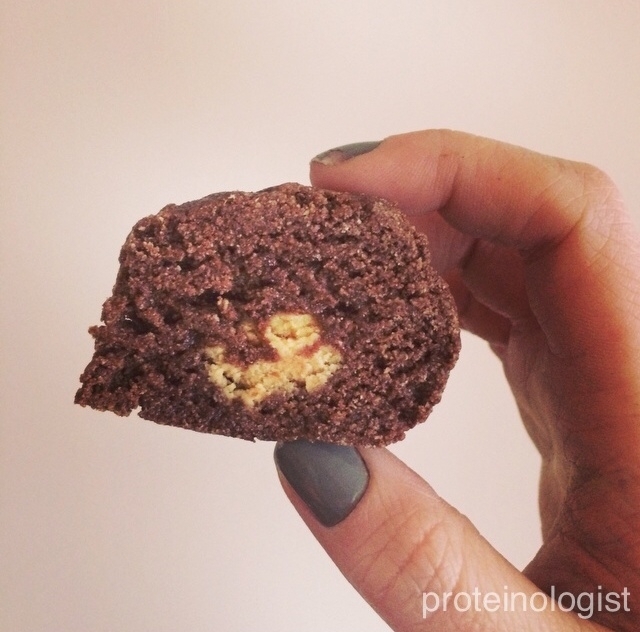 A reduced fat peanut centre filled protein brownie ball...perfect chocolate peanut butter lover snack! First make the filling by mixing the ingredients in a bowl and set aside. Add all of the ingredients for the brownie bomb into a food processor until well mixed. Take some of the brownie mixture and roll into a ball on the palm of your hands then flatten into a disc shape. Put a small amount of the PB filling into the centre of the disc and fold the brownie mixture over it and then roll it back into a ball shape. Put the balls in the fridge to firm up.